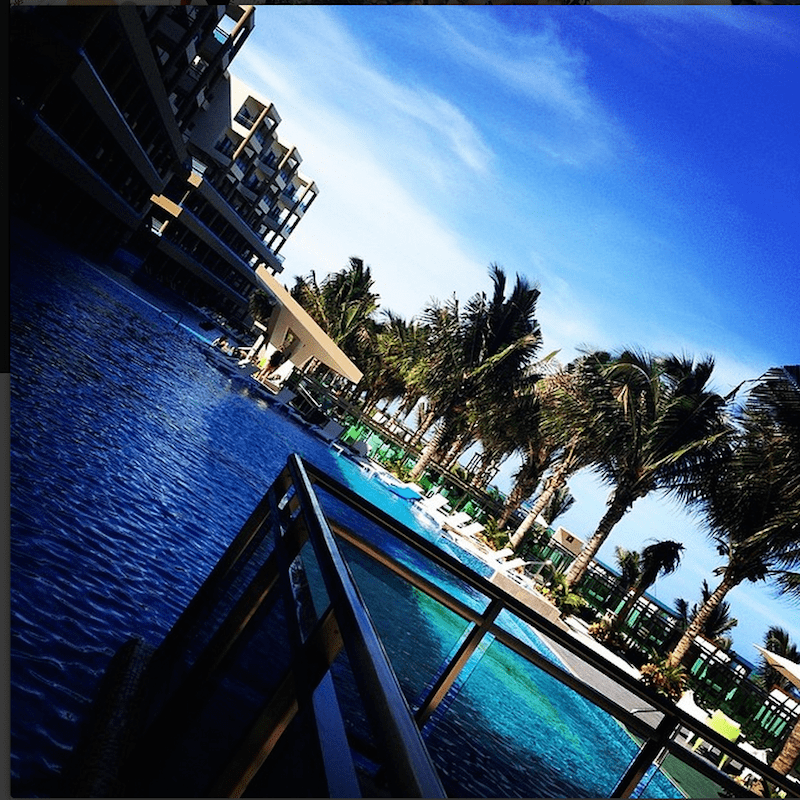 Lady and the Blog → Travel → Travel Blogging → Daily Diary: Limited Posting Because I’m In Mexico! Daily Diary: Limited Posting Because I’m In Mexico! Holy AMAZING! I’m on a press trip for the next few days enjoying Karisma’s New Generations Riviera Maya hotel. I am soaking it all in and taking lots of pictures so I can do a full review when I get home, but I wanted you to have a heads up as to why I won’t be posting as much for the next few days. We have a schedule and I’m not sure how much time I have to sit in front of my computer. I am going to try to get up nice and early and squeeze in a few posts and check email. But if you want to follow along on Instagram — here’s my account. So far… AMAZING. I cannot get over this HOTEL! The space is STUNNING. Wait until you see my balcony. What a surprise!! Stay tuned my friends.